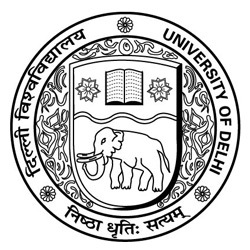 New Delhi:Delhi University (DU), Delhi, has decided to implement equal weightage for trials and certificates, for admissions under sports quota from this year onwards. Therefore, from this year, DU aspirants who want to take admission under the sports quota will have to work more on their performance. According to a University official, from this year, the quota policy will go for a 50-50 distribution of marks. The trials will be organized by colleges themselves as they need to select students on the basis of the team they need. Earlier, DU had changed its policy for sports quota admission in 2010 and decided to give 75% weightage to certificates and only 25% to trials. In the same context, Dinesh Singh, Vice Chancellor, Delhi University, said that since there was a lot of confusion in the sports trials held for the last two years; this year, colleges will conduct their own trials. However, the same will be monitored by university representatives. Moreover, DU has also decentralized admissions under the sports category. The step has been taken to improve the selection process, as last year, trials under the category were chaotic due to unclear guidelines and weighing criteria. The norms for admission under the extra-curricular activities, however, are still not concrete.